Hi Admin, Just wanted to say many thanks for your generosity and co-operation. I will be back for sure as these videos are priceless. I wish we had a teacher of this practical method in the UK. I practise Chen Style Taijiquan Practical Method here in the UK and attened Michael Calandras London Seminar. Whereabouts in the UK are you? Please contact me via admin if you wish to set up something (as i would like to for UK people as a means of encouragement, discussion and practise). I second that, these mini-instruct videos are priceless. 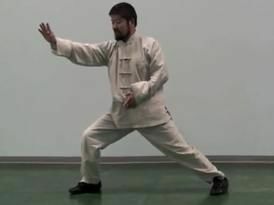 Although I am learning the Yang Style -108 moves, I find these videos by Master Chen very informative and extremely useful in understanding the “inner workings and structure” of tai chi. Some of the lessons-in particular those relating to opening of the kua, waist rotation, suspended head-when understood on the deeper level can be applied to the Yang Style thereby enchancing my Tai Chi learning experience. Thanks to Master Chen, his ability to share and engage his students with his knowledge is indeed remarkable. Does anyone know if the Hunyuan Qigong Detailed video has the Internal Visualizations included in it? These are usually taught to the indoor students but I think they are very necessary to complete each form and to get the benefits from doing the Qigong work. I am new to your site and thankful to have found it. It is a great system and appears to be what I am looking for, thanks! Question: I am looking for the videos showing insight on the Dan Tian which Master Chen Zhonghua touched on in the “Toronto Workshop by Master Chen Zhonghua 3-1 Trailer”. Particularly referring to the 8 quadrants of energy of the Dan Tian. Appreciate any guidance you may have in locating these videos. Please take a look at my article titled ‘With Just Four Ounces Of Strength’, It appeared yesterday, 22nd November in the Speaking Tree column of Times Of India. Warm Regards. Sandeep. Most of the thoughts in the write-up are inspired by Master Chen Zhonghua’s teachings.Please follow the following link. Which Victoria video talks about “filling the pipes with cement” in detail? Thanks. I studied Daoism as a teenager in the sixties, began my taijiquan studies in the late seventies, yet since discovering the information provided by Master Chen in regard to the Chen Style Practical Method, I feel as if I have won the Taijiquan lottery. I have been a teacher in various fields throughout my life and I am greatly impressed and humbled by Master Chen’s trinity of teaching….a thorough understanding of the subject, a love of the subject, and the ability and desire to pass it on to others. I thank the Taijiquan gods for the teachings of Chen Fake to Hong Junsheng, who then created this Practical Method, which then was transmitted to Master Chen, who in my humble opinion, is one amazing human being and most certainly “the right guy in the right place with the right knowledge”. I could never properly put into words the joy I have experienced having access to this absolute treasure trove of information. Thank you from the bottom of my soul Master Chen. You are most welcome. But really, anyone who happens to be the recipient of such knowledge has a responsibility to see it passed on. I’ve been teaching Chen and Yang style since 1988. I lost my “regular job” in August of 2012. Since then I’ve made the decision, as I am now 60 years old and experiencing my second time in the year of the dragon, element of water, that I need to focus my life more towards what I love. I learned a different version of Chen Taijiquan, but I truly believe that the Practical Method that you teach is something that I need to pursue as much as possible. My philosophy towards teaching, regardless of the subject, has been to pass on the knowledge. If someone is ready, then they can absorb it. That is why I appreciate so much your approach towards the sharing of knowledge. I truly understand the responibility of passing on knowledge, yet I will still always feel so indebted to you for your effort to do the same. I hope to be able to come to your seminars, but in my present job situation, it is difficult Hopefully someday you will hold a seminar in the San Francisco Bay area. I would do my utmost to advertise and promote such an opportunity. You are most inspiring, Master Chen Zhonghua!! Dear Master Chen and students, I live in the Birmingham area of the UK. Are there any Practical Method students in my area who would like to network? Master Chen have you any plans to teach in the UK? If not what would have to happen for you to do so? Is this close to you? I like your videos, I bought some of them. I never heard such details explanation in Chen Stylist Master but you did, not even from my Shifu. I learn Chen style Taichi from my Master in Indonesia 1998, He followed one of “Shi Da Jin Gang” style. I really like your “practical method” and your explanation on principles is amazing, and easily to understood. Help me much on my taichi practice improvement. I just curious when you will held seminar or workshop in Indonesia, especially in our Capital City “Jakarta” (where i belong). Hardly can wait learn from you directly, Shifu Chen. I wish for your most precious things in life: health, joy, peace and prosperity. Thank you for your kind attention, Shifu Chen. I have been practicing the practical method that you have shown through your videos. They are very informational. I do not know how to post a question so i posted the question here. I hope you don’t mind. I have a question regarding walking through the door. After I lock onto an opponent, my legs are very stable and my kua opens to turn my waist and execute my attack. My leg moves in first and then my kua moves my waist. Is that yin yang separation? My upper body feels disconnected to my lower body. Regarding the kua, i do not know if i am actually opening the kua. I sense a stretch between my thigh and hip bone that curve my ball joint out, making my upper portion (closer to my thigh) stretch outward. Is my ball joint rotating at that instance? Or in another instance I grab stability in my upper body and the leg that is pushing down, and i shift or rotate my other leg to another position. Is that a kua rotation? I also observed your Kua mechanics video, and i see that the ideal thing is to form a line, so is that stretch a rotation? I have been following your videos and have been practicing every day now. I sometimes think i have something but honestly i really cant say for sure. I have been practicing by myself and all i can say is the principles i thought was right turned out to be wrong and so i replace it with a new principle, and will probably be not quite right either. So I’m very open to changes, and i understand i can be wrong about a lot of things. i just really need some feedback. I can post a video of my progress, i just dont know how. Hi, you can upload a video of your yilu to youtube and post the link to the video here for comment. I only have the first 6-7 moves. I will post it very soon. Thank you for the practice guideline. It might take me a month to drill in the yilu. It seems i will have to wait before i post a video. I have to say, after viewing all of your form teaching videos – each of which has been very good in its own right – that I was very pleased to view the first 2 sections of your new 6 section videos with the detailed instruction done on the on a graphic grid. It is excellent, I look forward to viewing the rest. Thanks for all the great instructional videos and I hope to see you again in New Hampshire, this year. I am interested in your Hong Chen style taichi Where can I get hold of your instruction manual especially instruction videos. The instructional videos are downloaded from this site – look for the “Shop” tab on the introductory page. Prices are as noted and best if using web dollars for purchase – also tabbed on the intro page. Lots of trailers and videos on You Tube as well under “Chen Zhonghua”. Best wishes on your training. Hello, i was hunting for section 3 yilu instructional video, are they available. Thank you. Only the first sections of 2015 yilu instructional videos are available so far. Only the first 2 sections of 2015 yilu instructional videos are available so far. I have bought 10 minutes ago 50 webdollers . I can see them on my webdollar account but when I try to buy the system tells my I have only 2 webdollars . Can you please help me . Which video teaches 9 point circle. I bought “Basic Foundations 2013”, but don’t see the 9 point circle teaching. I saw a free video teaching brief details on 7 point circle. Certainly would like to learn about the detailed 9 points circle. The 9 point circle routine is to do the circle in a slow manner by clearly isolating each body part movement separately. This is for student who have good control of the body to try. For beginner it is better to do the foundation normally and lots of Yilu to be sensitive what the body is doing and develop more refined body control. Some of us may not be a beginner and have trained in other arts; hence would be interested in the detailed 9 point circle. Thank you for confirming that there is no video yet for 9 point circle.